In today’s modern world, when technology devices take the lead, the interaction and connection between people is becoming less and less. There is no denying the value of technology, but we do need to balance our lives – with interaction and sharing of experiences among people. That is why in many countries such as the US, Germany, the UK, and others,. board games are encouraged and have a key role in society. + CYCLIC has been developed by gamification, with very clear content, messages and objectives from the outset. + CYCLIC allows rules to be customized and updated according to the actual situation, creating for players the feeling of excitement and new challenges. Players can experience CYCLIC over and over again without any risk of getting bored. + CYCLIC is guided by different modes and styles, depending on the participants and the purpose of the event. + CYCLIC is customized, designed and manufactured according to the content and specific objectives. + Through playing CYCLIC, players not only hone useful skills for themselves but also gain the opportunity to observe and understand the personality of the other players. 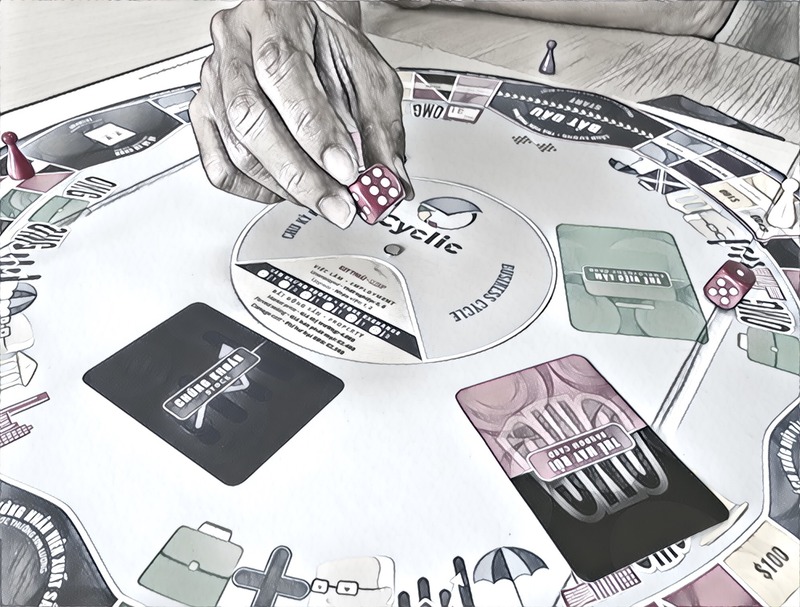 These and many other factors have helped CYCLIC to emerge as a phenomenon in the world of board games; and to promote the trend of gamification in many companies and organizations around the world.